I’ve started getting questions “When is Harris Teeter having another Super Doubles?” Well my immediate response is “We Don’t know yet” but here is the list of the 2011 through 2017 coupon event dates. I’m hoping for one the first week of January, because I will have $140 in coupons from filling prescriptions at the pharmacy (new store). So i’m guessing the next super doubles will be Feb. 20???? I don’t know yet- either 2/13 or 2/20. Do you know any more about the super doubles yet?? I am hoping it will start the 13th!!! I think i just found out!!!! This other website has been right plenty of times before!!! They say that there will be super doubles up to 2 dollars starting the 13th!!!!! I was thinking the same thing!! Its been a while and looks like were due! anyone heard anything about when there is going to be another SD or triples since they didn’t have one in march at all? any thoughts for next week? Any word on whether or not we are having triple coupons at Harris Teeter this week? I keep hearing rumors! I know we just came off of a super doubles event, but any word on when the next doubles/triples vent will be held? Yeah, I saw that on your calendar. I was just hoping that maybe you knew of something different. Oh well, I need to rest anyway. Thank you!! Thanks for pulling these dates together. It is a great reference! I’ve started recording this year’s events also, so I can use it as reference next year. One thing I noticed was a couple of the 2013 dates were off by a day or two compared to my area’s events. Is that a regional thing? For instance, you listed January 2 – January 9, that would mean the sale week went from a Wednesday through Wednesday. I noticed a two day extension in the May date you listed. In my area, the sale week is from Wednesday through Tuesday. Is it different in other areas? The event in September 2012 was triples, not super doubles I believe. So bummed they don’t have any in October, I am ready! Ignore that last comment about September, I was wrong. Any updates on this? I’d love to know! Nothing yet 🙁 But we’re hoping for 3/26! Did the rumor mention whether it would be doubles or triples? No longer a rumor 🙂 It’s confirmed Super Doubles. When is the May 2014 super doubles. Planning trip in May. We don’t know for sure yet. Total guess of 5/21- but it’s just a guess. Any updates on this? I’m looking forward to shopping! It is NOT 5/21 🙁 That’s all I know for sure right now. how do triples work? is it usually upto 99 cents? Yes, at Teeter during Super Triple events they will triple all coupons with a $0.99 face value or lower. Hope that helps! just a rumor- nothing confirmed. When is the next super doubles or triple event? any clues ? Memorial day has thrown us off. I’m thinking maybe 6/4 but it’s just a guess right now. Have you heard any updates on 6/4? Has anyone heard if there could be an event starting 6/11? I’d love for there to be one soon. As far as I know there is no event. Any idea on whether September’s (potential) event will be doubles or triples? Not at this time- hearing all sorts of rumors (including there may Not be an event in Sept) but nothing is set in stone as far as I know. Any word on triples for this month? Triples are when any coupon with a face value of .99 or less will triple in value instead of doubling like normal. This hasn’t happened in a long time and has been rumored to not be coming back so we shall see. There hasn’t been a triple in a full year! It has to be this month right? Unless they’re taking it away, which I would be sad about. 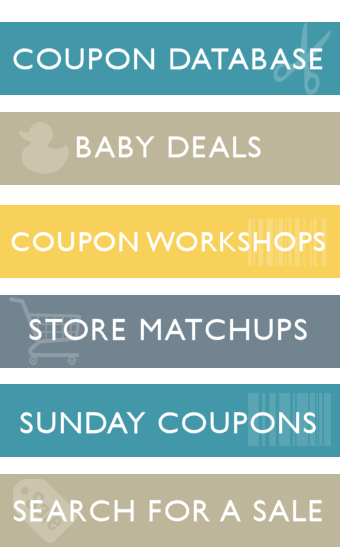 Quite a few stores are revising their coupon policies lately, I hope HT isn’t changing the triple.